The holiday season can be a stressful one when it comes to keeping your home, as well as your carpets and floors, clean. Therefore, we wanted to share some common mistakes to avoid when you’re self-treating those holiday spills and mishaps. Here’s hoping both you AND your carpets survive this holiday season. Never over-saturate your carpets with cleaning products. This could cause your stain to become even larger and potentially soak through to the carpet pad as well. Do not rub your carpets. You can fray and potentially cause permanent damage to the fibers. Vacuum. Be sure to vacuum up any dry pieces that may have fallen as well before applying any cleaning solutions. For more detailed and difficult carpet-care needs, call us here at Bayside Carpet Cleaning for a full-service visit before your holiday company arrives. Thanksgiving is quite literally just over a week away. As many of you will host dinners this year, there is always the chance for spills, drops and stains of all types – food, wine, grease, perhaps even wax from candles that had been burning to prevent the smell of turkey from permeating throughout your home for days following your holiday gathering. 1. Remove it now. The longer you wait, the harder it will be to remove. If you cannot remove the stain, call Bayside right away. 2. Do not use Resolve or other high residue products on your area rugs. Use a neutral ph spotting agent that is made for wool. Call us for purchase information. 3. Use as little moisture as possible with silk, sisal, cotton, and grass rugs. For these, apply a spotter to a cloth and gently dab the stain. Caution as some area rugs have a very unstable dye and can be easily ruined. Always pre-test any solution on the rug before attempting spot removal. Make sure you never apply any solvent (nail polish or rubbing alcohol) directly to the carpet. This could cause weakening of the fiber backing. For wax: Melt the wax unto a paper bag with a steam iron at a low temperature. Place the paper bag over the wax. Do not allow the iron to directly touch the carpet. We hope these tips will help you and your family enjoy a less stressful Thanksgiving! No one wants to enter your own or someone else’s home and the first thing that greets you is that stale smell of lingering pet odor. 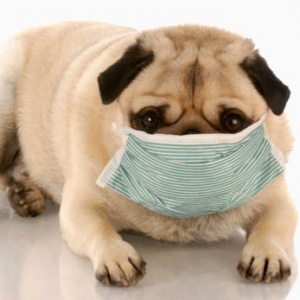 We know and understand that pet odor is a very common problem. At Bayside Carpet Cleaning we can help you better deal with your pet challenges. We will work with you to develop the best solution for your pets and your household. Pet urine also opens the door for the growth of bacteria. This, in turn, contributes to a worsening of the odor problem and can contribute to permanent color loss of the carpet fiber. In order eliminate this problem the urine must be removed or neutralized from each of the layers effected. If the contamination is limited to only the face yarn of the carpet then the cleaning itself may effectively remove the odor. In more severe cases a urine neutralizer may be applied. Left untreated over a period of time, pet odor can become absorbed into many of the porous materials in your home. Draperies, sheet rock, upholstered furniture, base-boards, even the concrete foundation are just a few of the materials that can absorb these odors. We offer a range of solutions to help you with your pet odor problems. In the long run, however, it may be more a matter of proper maintenance instead of total elimination. After all, we love our pets and want to keep them a part of our family. Pet ownership adds to the challenge of maintaining a clean and healthy home. However, at Bayside Carpet Cleaning we can help you meet those challenges. Less stench equals happy humans and therefore, happy pets!